If your car fails its MOT then, in order to make it safe and legal for road use, it must be repaired to a standard so that it can pass its MOT retest. At Drive in Service Centre of Shipley, we are fully set up to provide a complete MOT and MOT repairs service with MOTs from £24.90, allowing you to get your car back on the road as soon as possible, as inexpensively as possible. 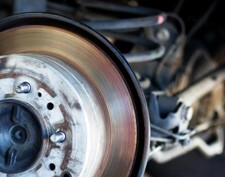 What can make a car fail an MOT test? If your MOT tester finds that the car does not reach the necessary standard for road safety then it will fail its MOT and you will be issued with a VT30 (effectively an MOT failure form).The VT30 tells us exactly what the car failed on, allowing us to put it right for you prior to retesting the car. If you get you MOT test done here and your car fails the test, our team can repair your vehicle back to MOT standard without your car actually leaving the premises here in Bradford. We’ll even test it again for free if we do the repairs. 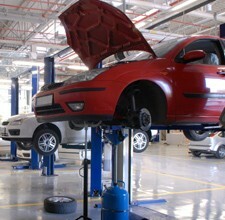 To book your vehicle in for repairs after an MOT failure, just call us on Bradford 01274 794991.